A democratic socialist candidate identifying publicly as a Jewish immigrant was actually born in Miami and was a devout Christian campus leader until only a few years ago. 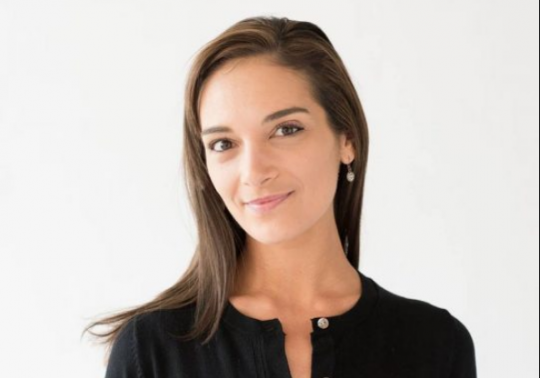 Julia Salazar is a Democratic community activist running for New York State Senate. Before running for office, she cut her teeth as a Jewish anti-Zionist, writing articles critical of Israel for left-wing sites like Mondoweiss and serving as senior editor for a blog affiliated with the pro-BDS Jewish Voice for Peace. According to a profile by Jewish magazine Forward, Salazar has "a unique Jewish background. She was born in Colombia, and her father was Jewish, descended from the community expelled from medieval Spain. When her family immigrated to the United States, they had little contact with the American Jewish community, struggling to establish themselves financially." A 2014 post by Salazar likewise strongly suggested a Jewish upbringing. "Like most American Jews, I was raised with the delusion that Israel was a safe haven for me, perhaps even the only safe place for Jews," she wrote. But Tablet reports that Salazar's brother told them in an interview both he and his sister were born in Miami, and their father was not Jewish. "There was nobody in our immediate family who was Jewish… my father was not Jewish, we were not raised Jewish," he said. Tablet also found a funeral posting that showed that the elder Salazar's funeral service was held at a Catholic church, and that public records showed he resided in Miami for a decade before Julia was born. As late as 2013, Salazar was also a pro-life, pro-Israel Christian and the leader of several Christian groups at Colombia University. She even appeared on The Glenn Beck Show as a campus leader of Christians United for Israel. By 2014, she had apparently converted to Judaism and became vocally anti-Israel after a visit to the West Bank. After publication, Salazar replied on social media that the piece was wrong, saying she was Jewish despite not being raised religious, and that she does not present herself as an immigrant. Hi. You could just @ me next time if you were genuinely curious about this. To every reporter who’s ever asked, to every person, I have always said that I was not raised religious, that I didn’t have a bat mitzvah, that *I am* Jewish, but never would claim that my big brother is. It really bends over backwards to try to put words in my mouth, instead of seeking to understand that my US-born mother and Colombian-born father had two different kids and raised us between two different places. I don’t present myself as an immigrant nor as a non-citizen. In fact, Salazar's own campaign website reads, "As a proud immigrant myself, I know how important it is to protect the rights of immigrants and ensure that everyone can fully participate in the life of New York State without threat or persecution." In an interview with socialist magazine Jacobin, Salazar likewise claimed that "My family immigrated to the US from Colombia when I was a baby." This entry was posted in Politics and tagged Democratic Party, Israel, Jewish Community, New York. Bookmark the permalink.